Exactly a year ago, on 2 Nov 2015, we opened the Research Ideas and Outcomes (RIO) journal for submissions, hopeful that we will find fellow open-minded people across the community to support our cause. Little did we know back then that RIO will become one of our most successful ventures, widely known as an innovator and carrier of change within the open science publishing community. Put in the spotlight, RIO has received some attention and positive feedback from outlets such as Science Magazine and Times Higher Education. 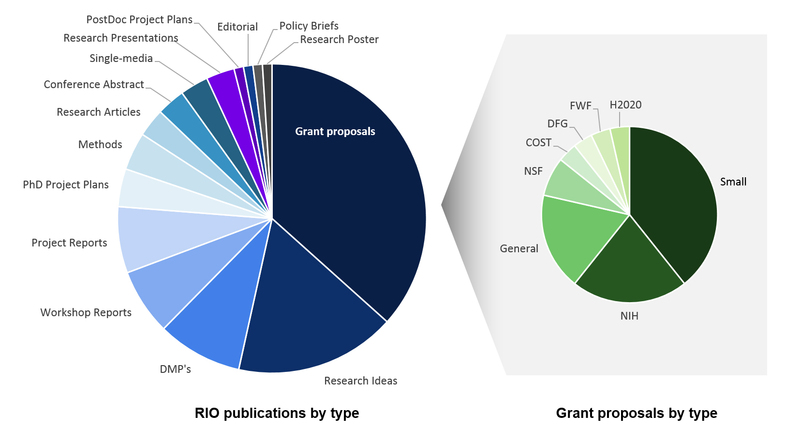 In just one year, RIO has accumulated a total of 76 published articles, most of them in our innovative categories aimed at opening up the research cycle for non-conventional outputs (see chart). Published articles include Research Ideas, Grant Proposals, Workshop Reports, Data Management Plans, Research Posters, Conference Abstracts and PhD Project plans, to name just a few. The innovative option to create research collections has already been actively utilized for an ongoing PhD Project, one Workshop, and a number of Data Management Plans, alongside a dedicated and ever-growing collection for the large FP7 Project EU BON. 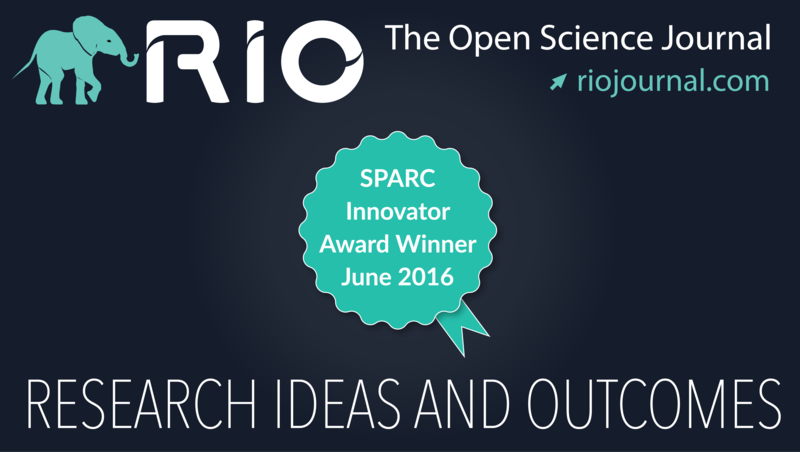 Just as half a year since our first publications had passed, we were thrilled to receive the news that RIO has joined the prestigious club of SPARC Innovators. This distinction meant more than an award for RIO, it meant that the journal was firmly following its initial goal to innovate the scientific publishing field. RIO is now enjoying a growing community around its cause, not only in the face of its authors, but also attracting the attention of a number of projects and funders, who are showing growing interest. One year of RIO has brought 12 months of success and good news. 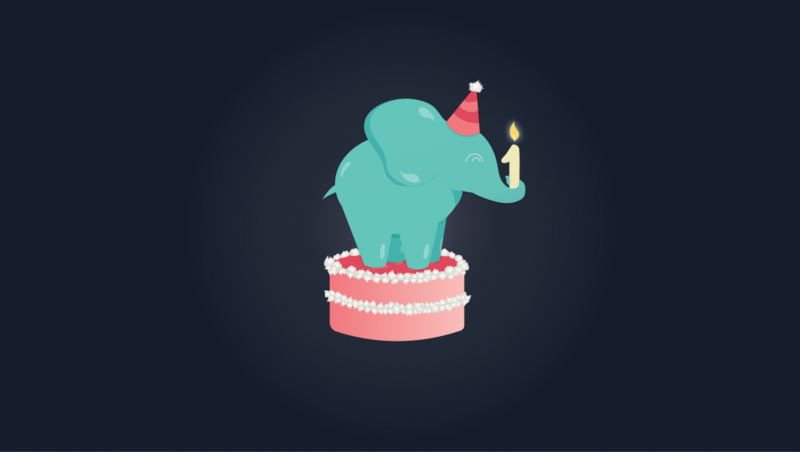 Now it is time to celebrate!